The Mid-Evil Industries 360 VFG/RFG Quick Detach Mini Tripod,( yes I wrote TRIPOD) is designed to be used with the Mid-Evil Industries 360 Vertical Foregrip. The video below states other mounts are coming including picatinny. I haven’t been fond of other foregrip tripods but the Mid-Evil seems to go to a new level. The tripod looks as though it’s roots are of photography origin between the ball head, construction and finish. What do you think of this tripod? Can it replace your current foregrip bipod or tripod? or even your traditional Atlas, Harris or Magpul bipods? 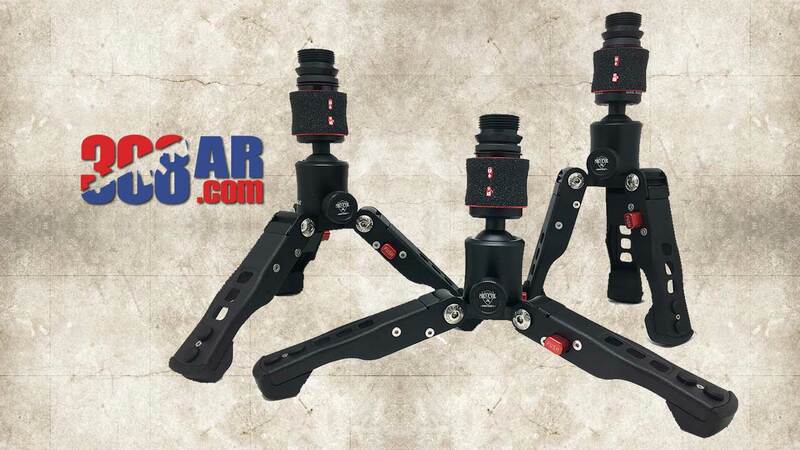 The 360° VFG QD-TRI POD by Mid-Evil Industries is the next evolution in Quick Detach accessories. This is the 1st ever Quick Detach Mini Tripod (can also be used as a bipod) compatible with and exclusive to the 2nd Generation 360° VFG/RFG (Vertical Fore Grip/Rotating Fore Grip). The adjustment possibilities are almost infinite. Smooth 360 degree rotation and a full tilt function allows you to acquire targets quickly for an accurate shot every time. The Quick Detach TriPod has a single hand operated lock & unlock mechanism. There’s no button, no twisting – just a simple slide down to release & slide up to lock. It can be set to 3 different angles (20°, 50° & 78°). Just push, click & lock – easy to use. It is constructed of aluminum and has extreme temperature resistance, is sturdy, long lasting and lightweight with a high quality finish.